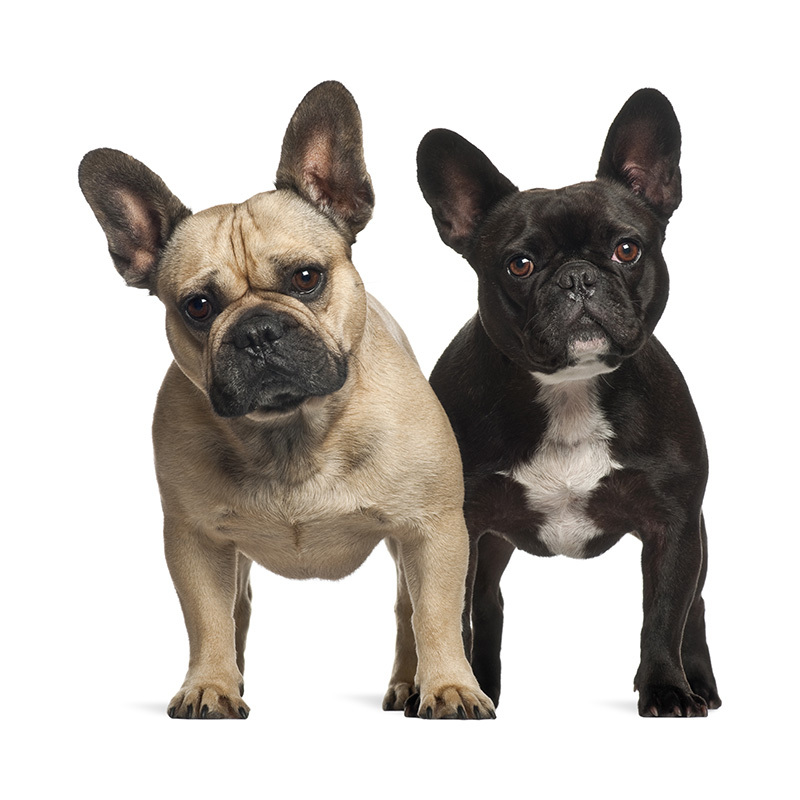 Frenchies are companion dogs and make great family pets. They are smart and fun-loving little dogs who thrive when they have human contact. French Bulldogs do well with children, although it’s always important to supervise young children with any dog. They are easy to train and are not prone to bark, thus making them exceptional apartment dogs. Frenchies don’t need a lot of exercise, but they do need daily walks to keep them at a healthy weight. French Bulldogs usually weigh between 22 to 28 pounds and stand up to 12 inches tall. They have a sturdy, compact body. Their coat is made of short, soft fur and comes in a variety of colors. French Bulldogs are the 24th most popular dog registered with America's Pet Registry Inc. They have earned the name "Frog Dogs" due to the way they lay with their legs splayed out behind them. Because of their flat faces, most Frenchies snore. A French Bulldog was one of the 7 unfortunate dogs out of the 9 on board the Titanic not to survive the sinking. It is said he was insured for $750, an enormous amount of money at the time.